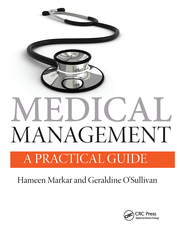 This title is a comprehensive account of the key aspects of medical leadership. A highly accessible, text book-style resource, it explores how the medical profession has evolved in tandem with administrative and structural aspects of the NHS. Assuming leadership roles at all stages of their training and career is a progressively vital component of the definition of a good doctor. 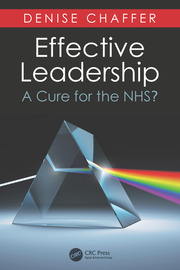 This book will provide invaluable support and guidance to anyone engaged in leadership within the NHS, but particularly to junior doctors in the primary and secondary care arenas taking on leadership roles for the first time. 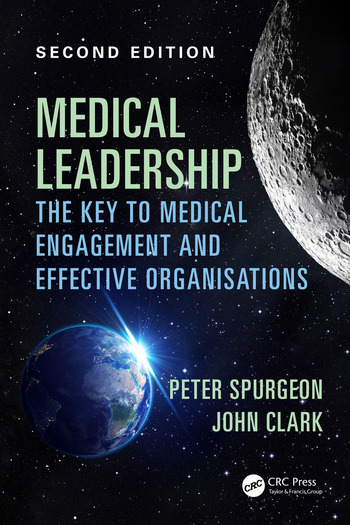 An introduction to medical leadership and engagement: a perspective on this text. A historical perspective on medical leadership. Doctors and managers: differing perspectives. Roles and models of leadership. Medical leadership competency approaches. Why does it matter? Medical engagement and organisational performance. Medical leadership and primary care. Appraisal and revalidation. Practical examples of initiatives to enhance leadership capacity. Medical leadership and engagement: towards cultural acceptance and the future. Peter Spurgeon was Director of the Health Services Management Centre at the University of Birmingham prior to joining Warwick Medical School (WMS). At WMS he was originally based in the Institute of Clinical Leadership, which ran programmes in medical leadership for undergraduate and postgraduate doctors. The Institute also offered development programmes for newly qualified doctors and developed a Certificate and Masters programme in Medical Leadership.Peter was Project Director for five years on the Enhancing Engagement in Medical Leadership project, run jointly by the NHS Institute for Innovation and Improvement and the Academy of Medical Royal Colleges. This project produced the Medical Leadership Competency Framework (MLCF), now endorsed by the General Medical Council as part of undergraduate and postgraduate training. It also formed the basis of a modified Clinical Leadership Competency Framework for all clinical professionals and ultimately the Leadership Framework for all NHS staff groups.The project also produced the Medical Engagement Scale (MES), which provides a metric of the level of engagement of the medical workforce in the wider goals of the organisation. Peter has overseen the subsequent use of this measure to its current position of an international comparative database of some 7000 doctors. The sustained link between levels of medical engagement and organisational performance has seen increasing attention given to both assessment and development of enhanced engagement.Peter is now a Recognised Researcher in the Social Science and Systems in Health Unit of the Division of Health Sciences at WMS. John Clark is is an Honorary Associate Professor within the University of Warwick Medical School and was involved in the design and delivery of a new Masters in Medical Leadership. He is also an Adjunct Professor in Clinical Leadership, Curtin University, Western Australia and an Associate Editor of The International Journal of Clinical Leadership. John was previously a Senior Fellow in Leadership Development at The King’s Fund where he engaged in strategies to enhance medical and clinical engagement in the NHS, building on his international research and consultancy on doctors' leadership.